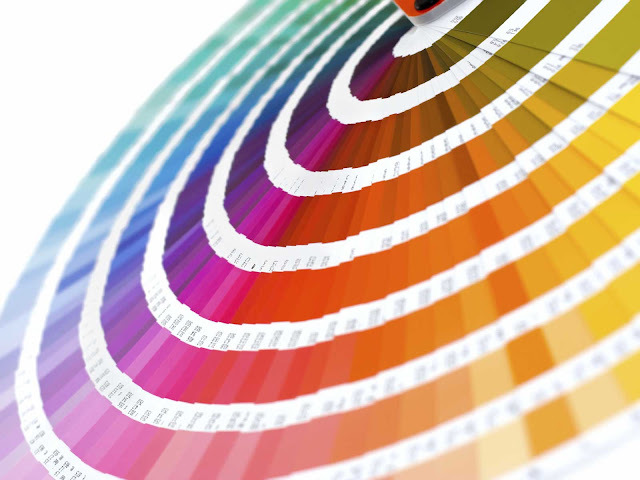 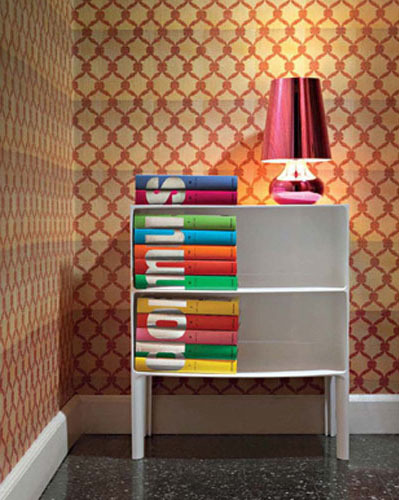 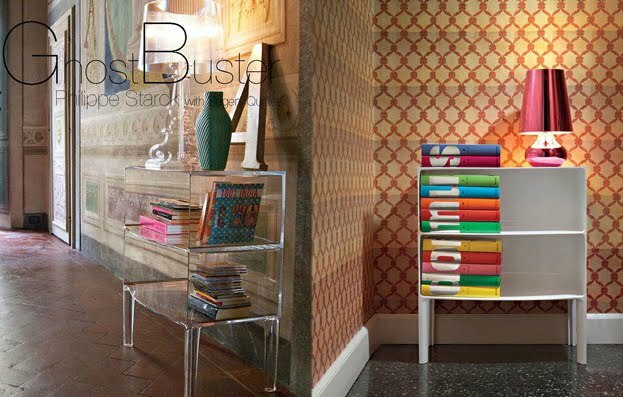 Available from Stardust Modern Design with a 110% Low Price Match guarantee. 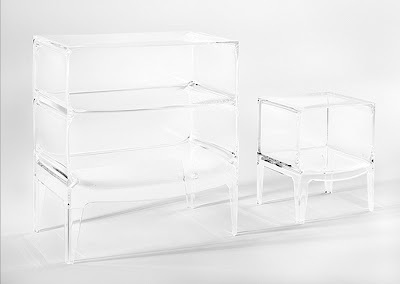 Kartell Ghost Buster Large Modern Storage Unit by Philippe Starck - The Ghost Buster storage unit was designed by Philippe Starck for Kartell in Italy. 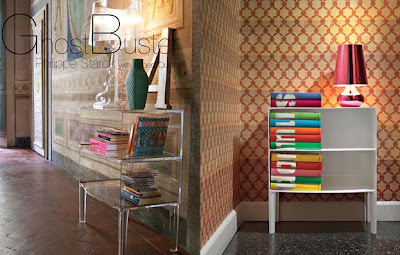 Ghost Buster compliments other creations by Philippe Starck such as the Victoria Ghost Chair and the Louis Ghost Chair. 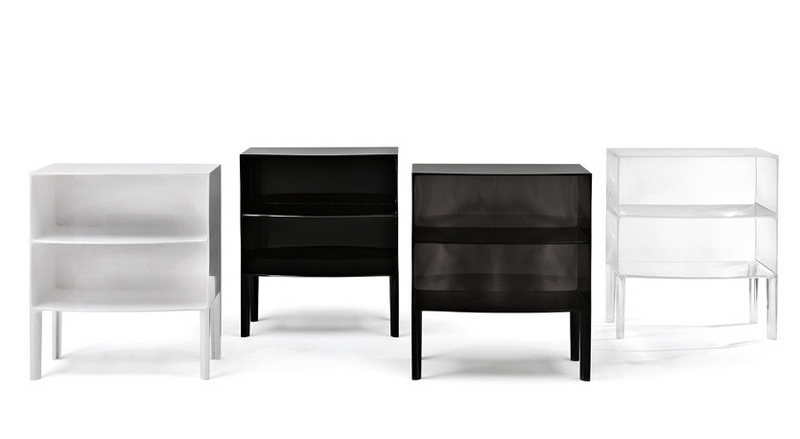 Philippe Starck has reinvented the classic Louis XV-style French commode. 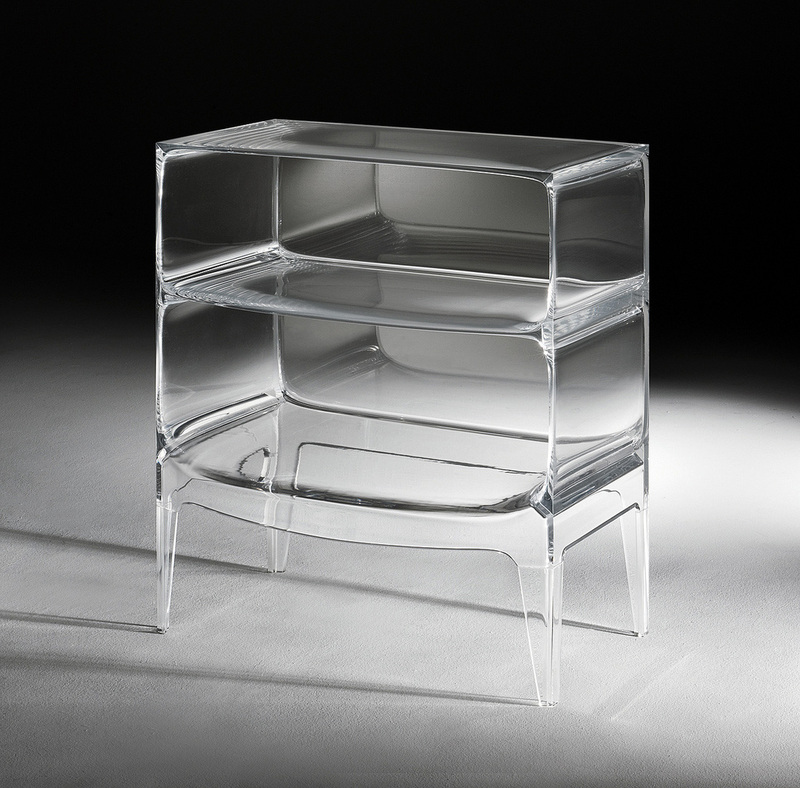 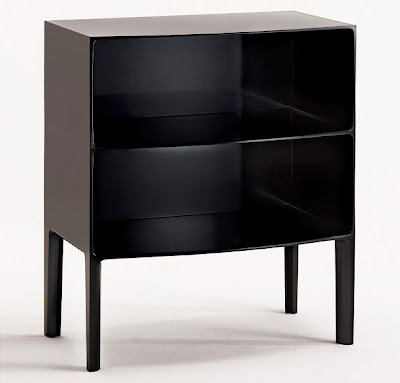 The Kartell Ghost Buster side cabinet evokes the lines of classic furniture but with a contemporary accent in its transparency plastic. 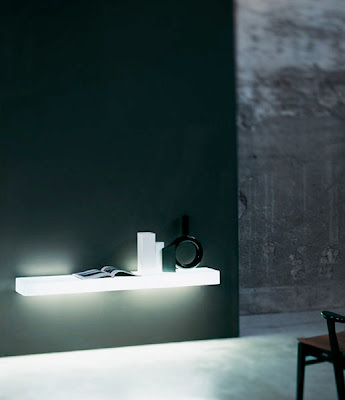 Corners and curves, straight lines and sinuous lines play over its surfaces and spark an intriguing game of eye-catching perspectives and reflections. 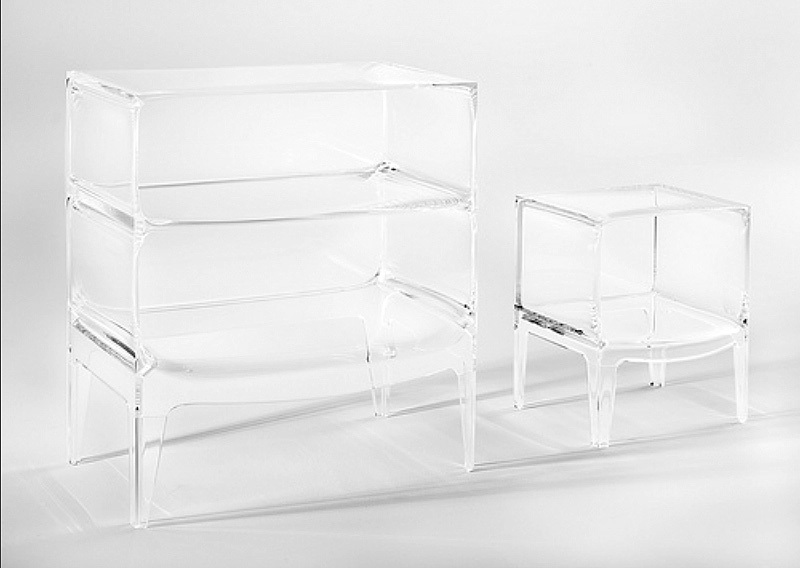 Ghost Buster with two open frontal shelves and sitting on four bi-facial legs is the largest plastic mono-bloc ever made yet in the world of furnishings- just another demonstration of Kartell's determination to break down all the barriers of technical challenge. This attractive modern storage unit is available in the two transparent colors; crystal and fume, and two matte colors; white and black. 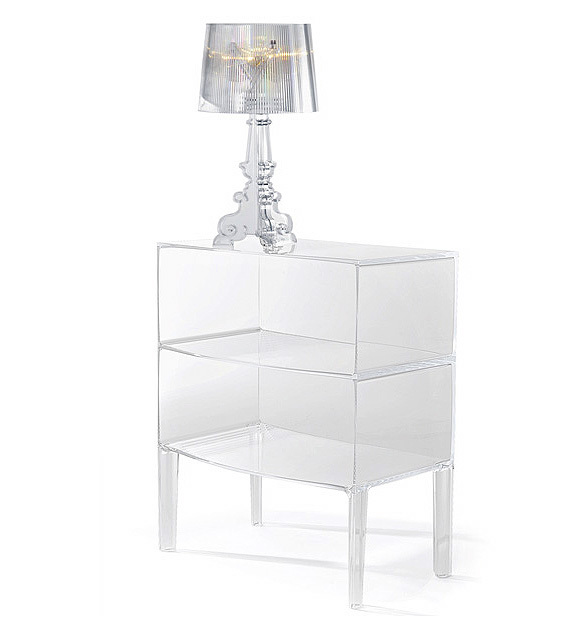 The Ghost Buster can be used as a night stand, side table or storage unit, and is the perfect playful yet modern addition to any room in the house.